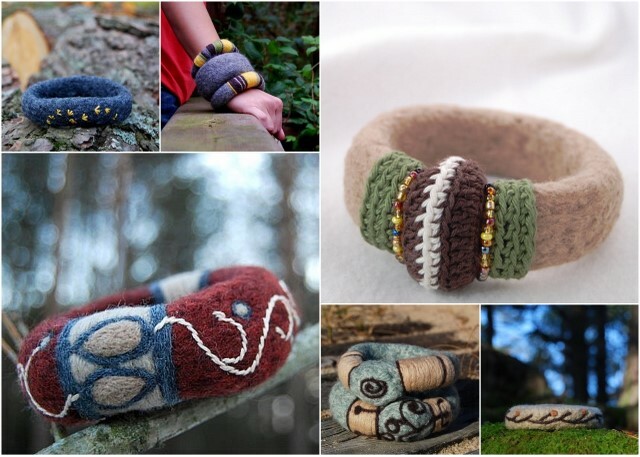 Several years ago I got fascinated with some felted bracelets I had seen on the Internet. 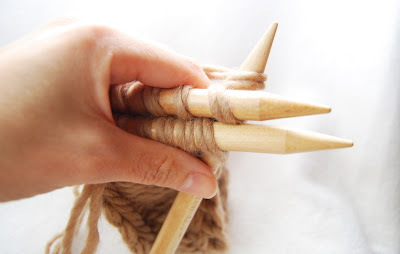 I started experimenting with knitting and crocheting thick woolen bases which I later wet-felted and after weeks of trials and errors I came up with a great product that looked unique and allowed me the freedom to be creative every time. I even started selling the bracelets quite successfully. What I like about this unique kind of jewelry is how green it is. You only need pure new wool and a pair of knitting needles. 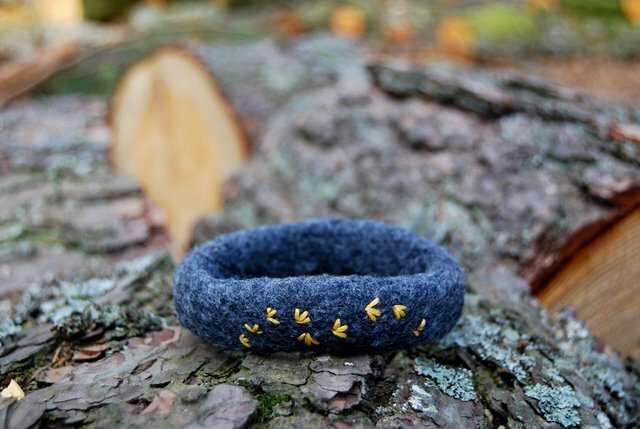 During the felting process the bracelets change their shapes and lose much of their size while the fibers intertwine and connect to each other to form a new type of fabric. I like the physical transformation of the yarn - from fiber through a knitted form to a completely new object with different functionality. Today I will reveal to you something you will hardly find for free on the Internet – how to knit, wet-felt and needle-felt a bracelet. 1 crochet hook size L (8 mm). 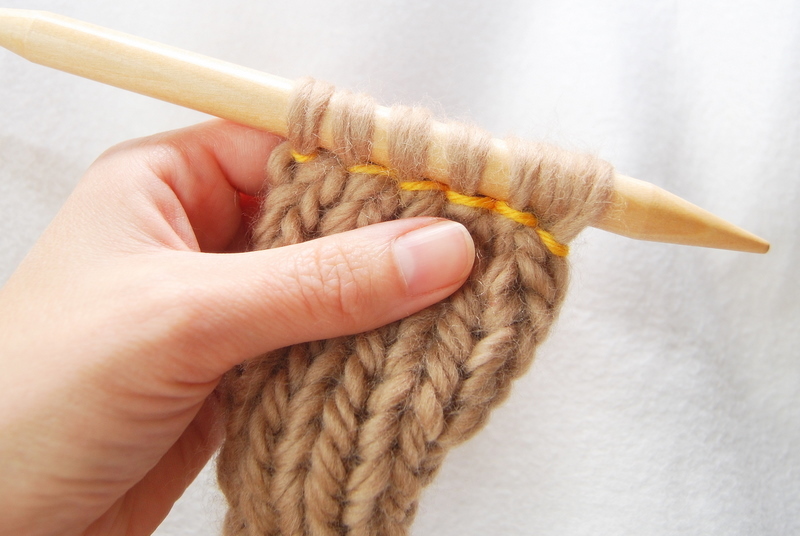 The size will depend on the wool you use and the time and temperature of felting. 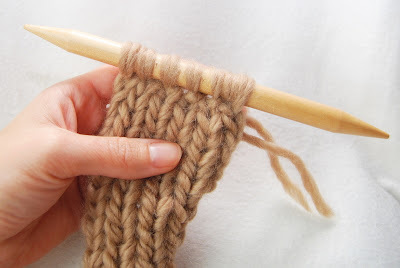 Normally a 12 - 13 inches long knitted pieces will do for all wrists. To get a well felted bracelet you need to use bulky wool. It can be pure new wool or, wool combined with mohair. You also need to knit loosely, so that the fibers can intertwine and shrink together well to form a solid and tough bracelet. Start with a provisional crochet chain cast on. Holding two strands of yarn knit 7 stitches. 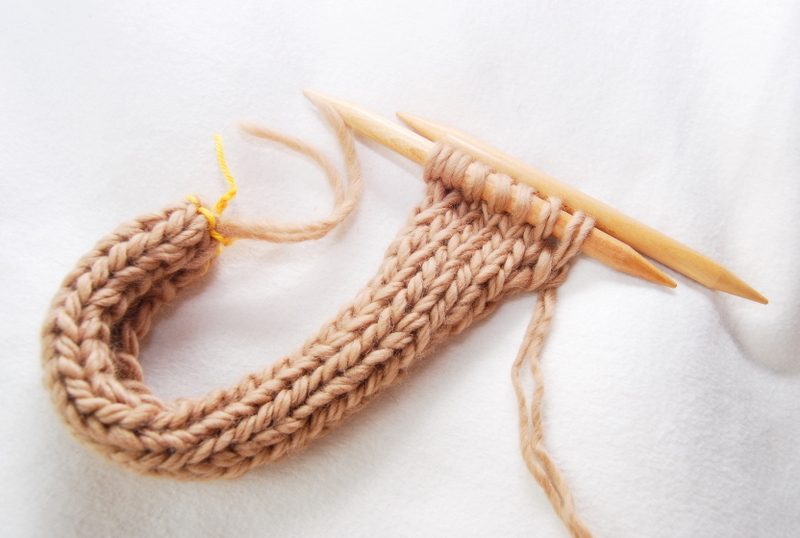 Continue in stockinette stitch for 12 inches (31 cm). 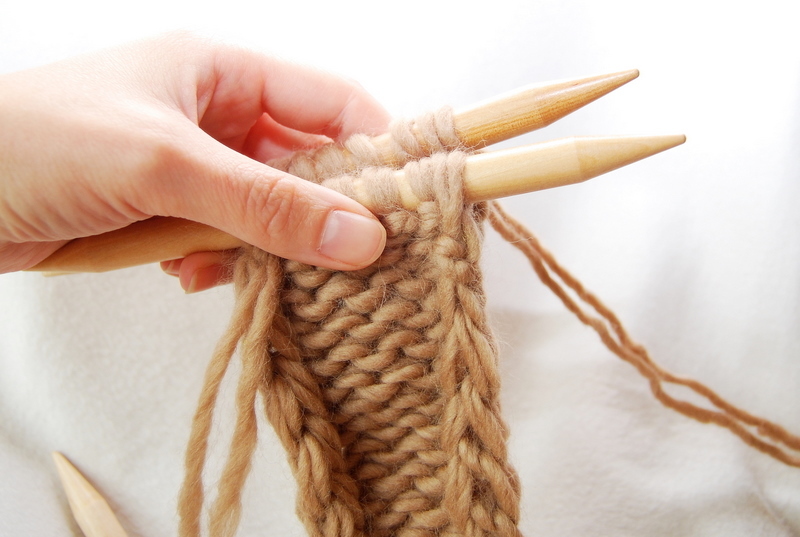 Remove the waste yarn from the provisional cast on and place the live stitches on a needle. 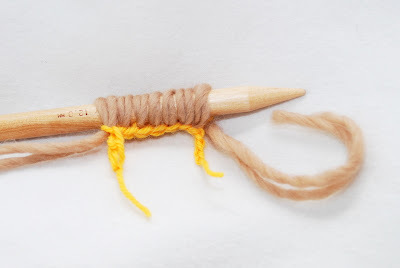 Join the two ends together with the wrong side facing outside. Bind off using the three-needle method. This is the best way to join a ring without a visual bump along the right side of the seam. To avoid turning the inner sides out and getting a weird form in the process of wet-felting I leave a long tail after binding off and use it to sew the sides together very loosely. The base is now ready for wet felting. I normally do this in my front loading washing machine. 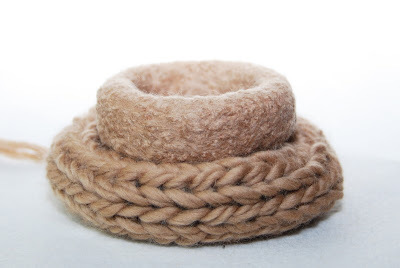 First I soak the knitted ring in warm water, to let the wool relax and then I transfer it into a wash bag and straight into the washing machine. From here on the process is a matter of trial and error, depending on your washing machine. I set mine to 140 °F (60 °C), add just a pinch of washing powder and let it work for about 30 minutes. I don't add any tennis balls or old jeans but if you find that this works better for your felting you can do it. Then I interrupt the process and check the bracelet. It normally needs more felting but I take my time to shock the wool with cold water and turn the bracelet inside out, to make sure it felts evenly on both sides. After a second cycle of 140 °F (60 °C),this time without powder, the bracelet is ready. 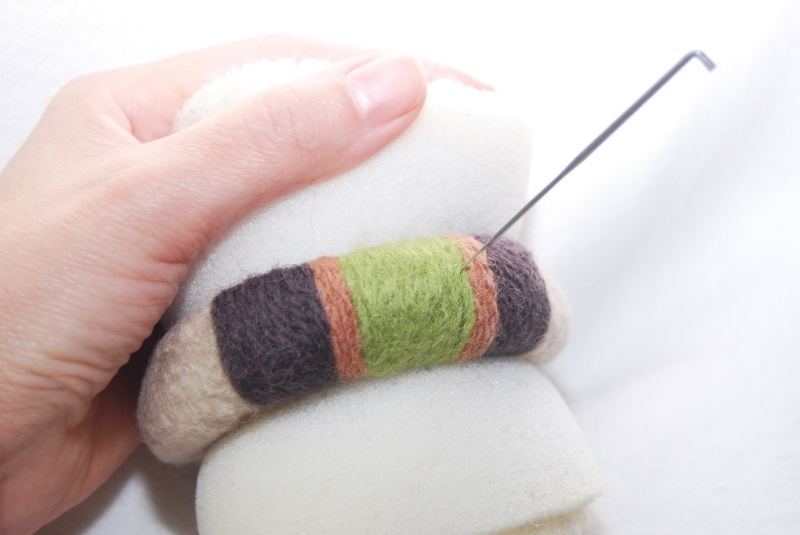 If you see that there are spots less felted, you can try once again on higher degree. I sometimes go for a third cycle on 60 or 90 depending on the wool. Have in mind that with the increase of time and temperature your item will felt faster and will shrink more. The only thing you need now is patience. Find something that you can use as a mould for your bracelet, for example a mason jar with the appropriate diameter. 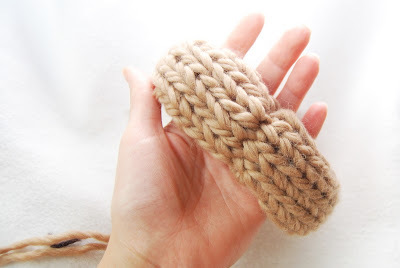 Place the bracelet around it, adjust the shape and let it dry. This natural process will take between 1 and 2 days. I am lucky to have floor heating at home which assists me quite well in drying my bracelets. Here is a before felting and after felting look of your bracelet, to get an idea how much it changes in texture and size. After the felted base is ready and dry you can start decorating. 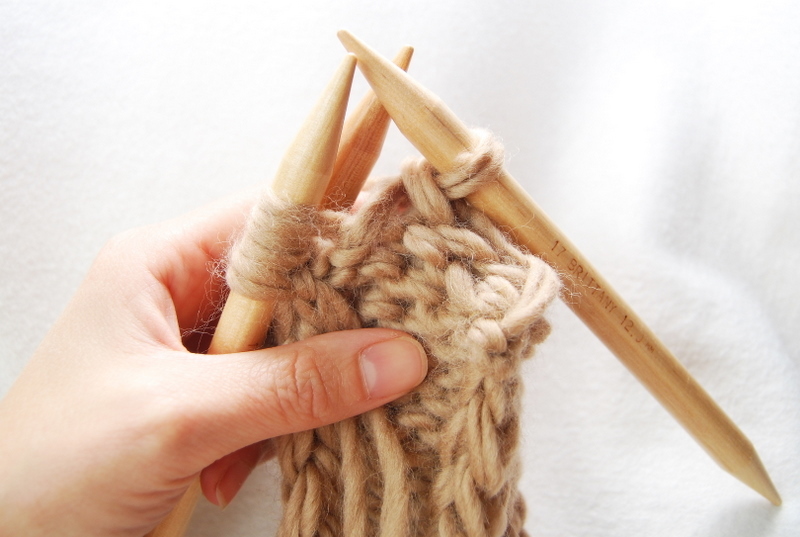 Take a contrasting strand of wool and start needle felting. Don't worry if you haven't done it before, you will quickly learn. Don't forget to place something underneath, for example a thick layer of foam so that you don't prick yourself with the felting needle. You can leave your bases plain, or you can go crazy decorating and use not just wool, but also cotton, embroidery thread or beads! To see more of my felted bracelets designs, visit my etsy shop. For more creative DIYs, click here. Your bracelets are beautiful, Sonya! I know many people who will felt a wool sweater for felted projects but you are the first I've heard talk about knitting something first. I just think that's cool! Your bracelets are beautiful!! Thank you for sharing your great tutorial. Ooh, Sonya, your bracelets are gorgeous! I think they're fabulous. Big but light, pretty, AND eco-friendly - AWE-SOME! And how great of you to offer a free tutorial on them! O wow, I've always wondered how you make these--and I love it! I'm definitely going to try this now. Fabulous tutorial! I've just begun felting and love it as you do for all the creative possibilities! This is an awesome tutorial, and they're so beautiful! you AMAZE me ..its such a joy to see you create! These bracelets are really beautifull! I am going to try this also. Thanks for the great tutorial. These are fab. And thanks so much for the tutorial!